Offering you a complete choice of products which include ds18b20 water proof temperature sensor stainless steel 100cm, hr202 digital temperature humidity sensor, raindrop sensor and soil moisture sensor. 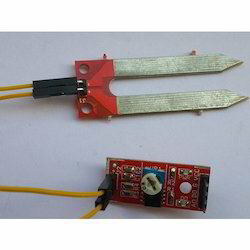 This is a Waterproof DS18B20 Temperature Sensor/Thermometer. The probe uses original DS18B20 temperature sensor chip. It is waterproof, moisture-proof and anti-rust with the high-quality stainless steel tube encapsulated. No other components, unique single bus interface. 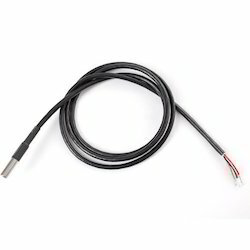 Probe temperature sensor using original DS18B20, High-quality stainless steel anti-rust waterproof package, Stainless steel housing (6 * 30mm), lead length 100cm, After rigorous testing of each probe individually wrapped. 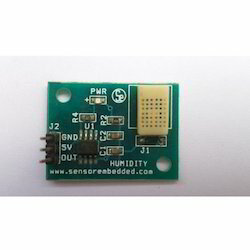 This module is based on HR202 resistive humidity sensor, which exposes excellent linearity, has a wide measurement range and a low power consumption. The module features both a power output indicator LED and a digital output indicator. This module is ideal for custom humidity sensing applications, and can be used in fields like meteorology, storage facility humidity control, textile industry and other applications which need ambient humidity monitoring. The output is available both as an analog output and as a digital output obtained using a comparator based on LM393 integrated circuit. Water sensor brick is designed for water detection, which can be widely used in sensing the rainfall, water level, even the liquate leakage. The brick is mainly comprised of three parts: An electronic brick connector, a 1 MΩ resistor, and several lines of bare conducting wires. 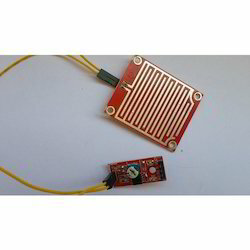 This sensor works by having a series of exposed traces connected to ground and interlaced between the grounded traces are the sens traces. The sensor traces have a weak pull-up resistor of 1 MΩ. The resistor will pull the sensor trace value high until a drop of water shorts the sensor trace to the grounded trace. Believe it or not this circuit will work with the digital I/O pins of your Arduino or you can use it with the analog pins to detect the amount of water induced contact between the grounded and sensor traces. This item can judge the water level through with a series of exposed parallel wires stitch to measure the water droplet/water size . This item can easily change the water size to analog signal, and output analog value can directly be used in the program function, then to achieve the function of water level alarm. This item have low power consumption, and high sensitivity, which are the biggest characteristics of this mdoule. Soil Moisture Sensors measure soil moisture with patented TDT (Time Domain Transmission) technology. biSensors are self-calibrating for all soil types and conditions and are unaffected by salty soil conditions or soils with a high pH. biSensors can be connected to a two-wire path or conventional wire and provide continuous measurements and real-time feedback for the controller to make smart irrigation decisions specific to the landscape the biSensor is installed in. Looking for Temperature Humidity Pressure Blood Presure ?